Maui Vista is conveniently located to all of the attractions Maui has to offer, yet situated so you can remove yourself from the action and relax in the comfort of your home away from home. All units feature full kitchens. Enjoy the lush landscape and fishponds, as well as a wealth of facilities including barbecues, three pools and tennis courts. 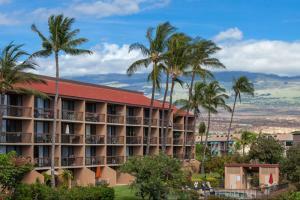 Located between Charley Young Beach (The Cove) and Kamaole Beach in Kihei, near Wailea Maui. Golf, Volcano Trips, Helicopter Tours, Hana Adventures, Sailing Trips, Hike Maui, Snorkeling, Scuba.